Located in Florida's Panhandle along scenic Highway 30A, Alys Beach is a seaside community based on the architectural vision of Bermuda and the courtyards of Antigua, Guatemala. Within the community, guests and visitors have a range of culinary options like morning pastries at Charlie's Donut Truck, coffee at Fonville Press, casual comfort food at George's, and fine dining at Caliza which serves modern Gulf Coast seasonal cuisine. 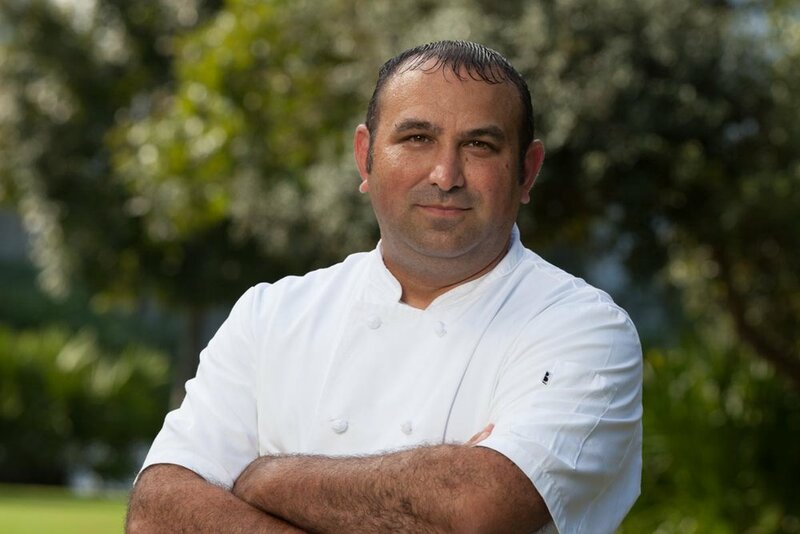 Prior to joining the team at Alys Beach, as the Food & Beverage Director, Hugues worked at the Inn at Palmetto Bluff Resort, Woodlands Resort & Inn, and the Grande Roche Hotel. "Come here for breakfast. They serve great biscuit sandwiches." "It is located on 30A in the Rosemary community town center. They have many great local artisans selling dairy, vegetables, fruits, honey, and pottery. I personally enjoy Jenefer’s Garden Produce." "I really like the 30A Farmers’ Market in Rosemary Beach and Jenefer’s Garden there. They supply Caliza with fresh produce." "Chanticleer Eatery is not known to many tourists. Their great shrimp and grits and very colorful artwork make it feel like a local’s place, but more and more people are starting to find out about it." "Definitely get the shrimp and grits here." "This is reopening soon and I'm very excited to head here for the grouper sandwich." "This and Seagrove Village Market are projects of George and Ann Hartley, renowned hospitality figures in the area." "They make amazing ice cream -- the Coconut Cream is my go-to flavor." "This a great spot to enjoy delicious ice creams. They are located in Blue Mountain Beach." "This is a great place to take the kids for a scoop of ice cream." "It's perfect for a pre-dinner cocktail." "Come to Seaside for a rooftop cocktail overlooking the water." "This is located in Rosemary Village and they have great food and service." "This is a great spot for dinner with a very knowledgeable staff. Ask for Brittany." "This is a great little dive bar to keep the late night party going." tagged with Alys Beach, Panhandle, Florida, The South, Chef's Guide, Drew Dzejak, Caliza Restaurant, Highway 30A, Hugues Le Berre, The Perfect Pig, 30A Farmers Market, Rosemary Beach, Panama City Beach, Chanticleer Eatery, Santa Rosa Beach, Seagrove Village Market, Surfing Deer, Seagrove Beach, Southern Craft Creamery, Blue Mountain Beach Creamery, The Pearl Hotel, Bud & Alley's, Edward's Fine Food & Wine, Bijoux, Miramar Beach, Red Bar, Travel Guide, FED Guides, Find. Eat. Drink.